Selfie is a very popular word that needs no introduction. Its origin dates back to Australia in 2002 and in 2013, it became Oxford Dictionaries’ international word of the year. But what does it have to do with marking and coding? Throughout my 25 years in the marking and coding industry, I’ve seen my fair share of the panic, frustration and typographical errors at the start of a production run that leads to a “create many – use once” product code file creation mentality. This redundant product code file creation only overwhelms the next operator with confusion and leads to a snowball effect. Soon enough, there are now 12 to 20 varieties of the same product code in the marking and coding device’s memory, possibly all not being designed the same with field type elements or layout. That’s a huge quality problem and one that could risk an expensive product recall if the code selected is incorrect! 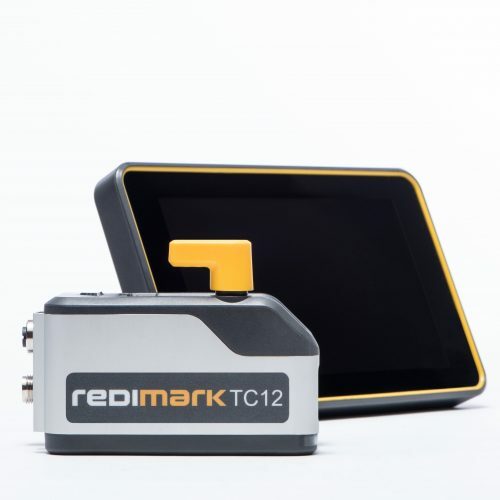 When the Redimark TC12 Thermal Inkjet (TIJ) coder was being mapped out in design, the design team wanted to tap into all available tools that would simplify the marking and coding process. The Redimark team was inspired to address this product code selection debacle by doing something that a lot of people already know how to do. The design team came up with the idea that instead of selecting a product code by file name, why don’t we allow the user to attach a visual cue, or product image “selfie” with a product code file in the TC12’s product code library. This means a user can see the product they are selecting for rather than just rely on a product code file name. How do I get my packaged product image to my TC12 coder? 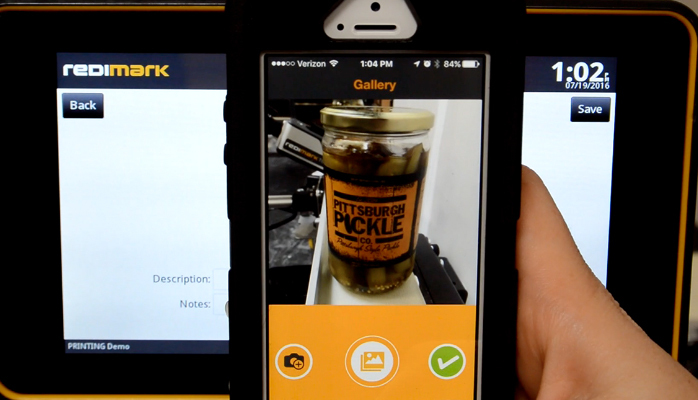 The Redimark App is all you need to capture the product image and upload to your TC12 coder. It is available for both the iPhone and Android smartphone. It can be downloaded from the Apple’s App store or Google Play store for free. Once installed on your smartphone, enter your Redimark Account login details and simply take the photo and select the printer serial number to send the image. The image transfer is sent using the Redinet wireless network; Redinet is the network that connects your TC12 coder to your Redimark Account. There is no charge for this service and there are many other benefits of using your Redimark Account such as setup of notifications, easy order placement for inks, send questions to the Redimark team, and review product documentation and videos. Redimark’s TC12 thermal inkjet coder offers superior print quality and fast drying cartridge inks for many types of non-porous packaging materials. It is remarkably simple to use, maintenance and mess free. To learn more about the TC12, visit redimark.com.